Impeccable style may be as near as a stroll through the basement, a quick dusting and a fresh coat of paint or upholstery pattern. Heidi Sowatsky of Decorating Den encourages clients to buy high-quality furniture and reupholster and refinish old furniture whenever possible. “If you’re consistent in your style, you can then move the furniture from room to room and home to home without difficulty,” Sowatsky says. 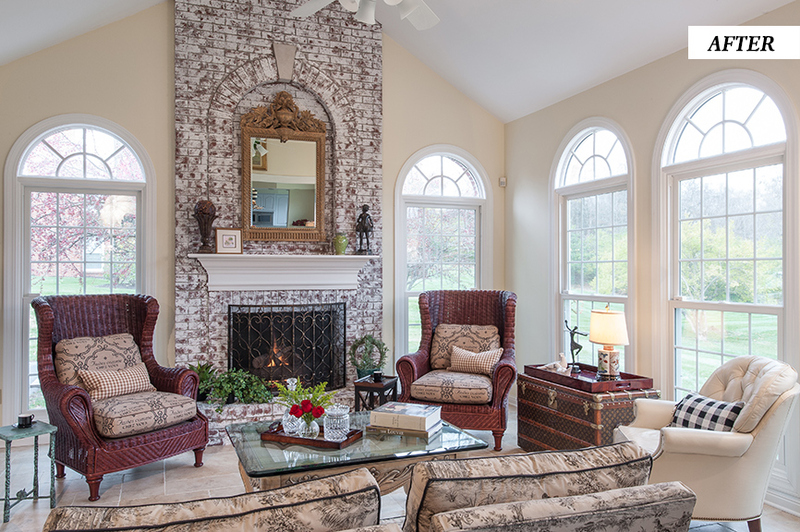 Judy and Don Walter’s previous home was completely tailored to their personal preferences. To make the move easier, Walter says she flbrought over a lot of ideas from the old house to the new house, which has significantly more space and natural light. For the sunroom, Walter envisioned French casual, a style that reminded her of her travels through the South of France. Her three favorite countries are England, France and Italy. She pulls design inspiration from what she sees, experiences and purchases during her travels. Old wicker chairs covered in a tattered Native American pattern and hiding away in the basement were a French casual gold mine to Sowatsky. 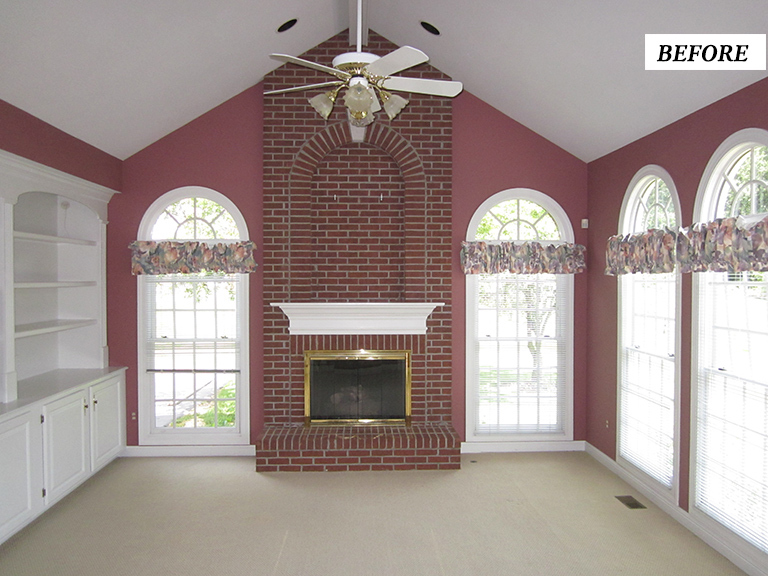 Her expert eye saw the tall backs and knew they would work beautifully with the sunroom’s brick fireplace that stacks all the way up to the ceiling. To give the plain brick fireplace an interesting something extra, Sowatsky whitewashed it and then chose a chic white pattern with which to reupholster the wicker chairs. End tables can be found in the least likely places. The 110-year-old Louis Vuitton trunk used as an end table is another favorite of both Sowatsky and Walter. It doubles as a storage space for Walter’s purse collection. 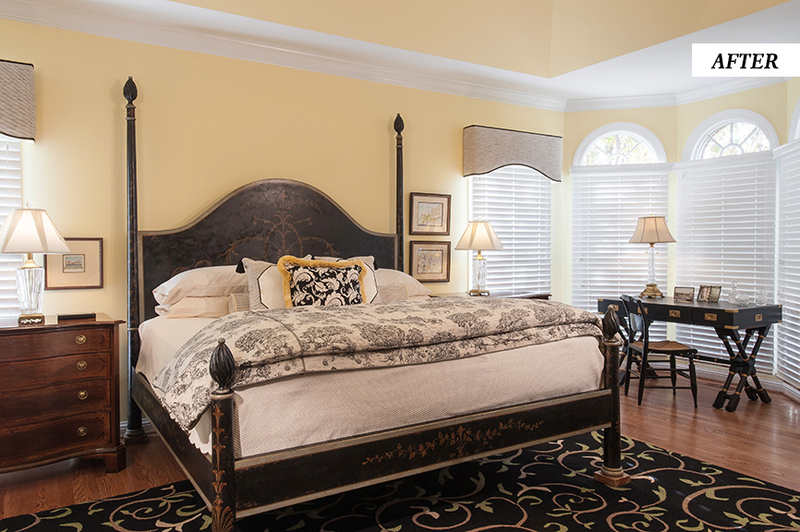 The master bedroom is centered around the couple’s gorgeous custom-designed bed. It is an elegantly dark Patina piece shipped from Italy. To match the Italian beauty, Sowatsky updated the window treatments, reupholstered the sofa and painted and refinished an old desk she found hiding in another corner of the couple’s basement. When Sowatsky saw the desk, she immediately knew it belonged in the alcove of the master bedroom. The desk was badly damaged, but a little fixing, refinishing and a layer or two of black paint hid all former flaws. The gold highlights on the legs were then added to match the brass fastenings and give the piece an updated look. Walking through the old home and basement, Sowatsky says she was constantly asking herself, “That piece is interesting; can we salvage that?” Whenever possible, Sowatsky says she believes in fixing and using what the client already owns. 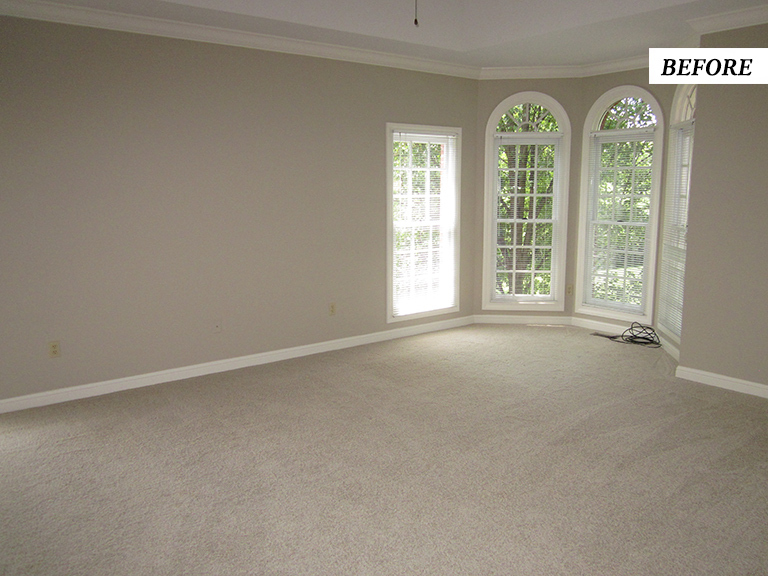 The Walter’s home is proof there can be true beauty in the forgotten and basement-dwelling pieces of our homes.